A home in a rural community near Pauma Casino was the scene of a law enforcement shootout and subsequent hours-long standoff Friday after deputies were ambushed by an unidentified assailant. 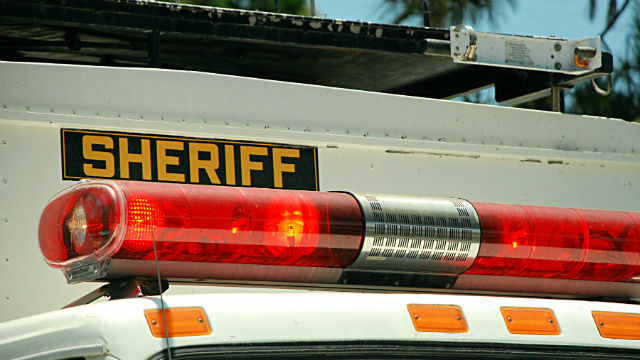 Deputies responded around 4:12 p.m. to a 911 call from a man who said he “needed help and didn’t feel safe in his home,” San Diego Sheriff‘s Lt. Rich Williams said. As three deputies approached the front door of the home, they were met with gunfire, Williams said. Sheriff’s officials first advised the public to remain clear of the area and asked residents to shelter in their homes, then evacuated all nearby residents. Authorities tried to establish communication with the gunman, but when that was unsuccessful, the SWAT team entered the home and found the suspect inside with an apparent gunshot wound to his lower body, Williams said. The man was arrested for attempted murder of a peace officer and was taken to a local hospital. He was expected to survive. Deputies did not immediately identify the suspect. It was about 10 p.m. by the time the standoff was over. Deputies at the Valley Center sheriff’s substation tweeted around 10:15 p.m. that residents were being allowed back into their homes, and said about 11:40 p.m. that most nearby roads were reopened, save for the immediate area of the standoff. Sheriff’s officials, in a later tweet, also thanked Pauma Tribal Police and the Pauma Casino for their assistance.